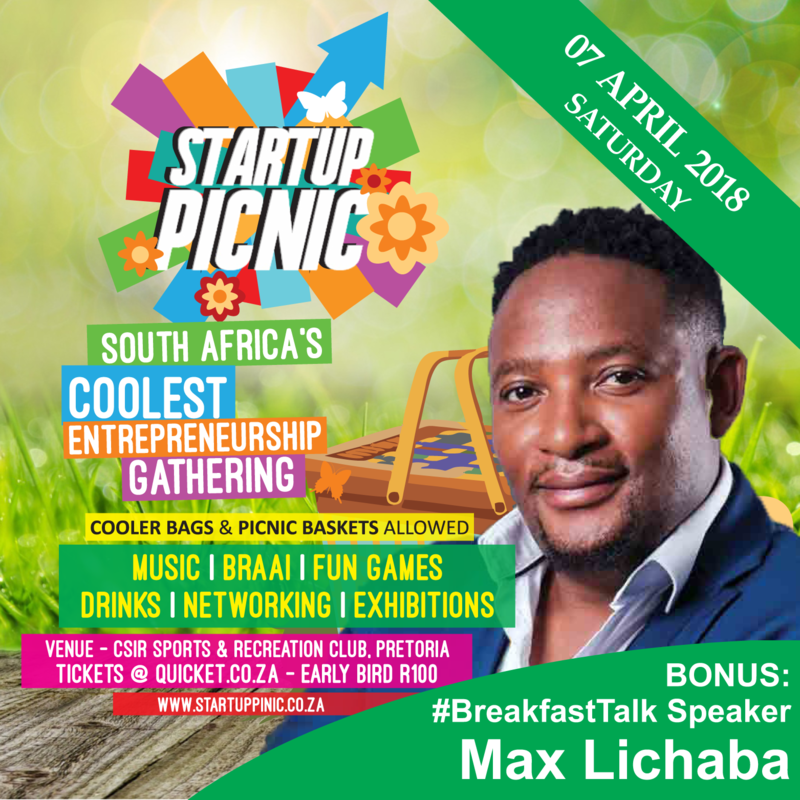 Fresh off the cover of the March 2018 Entrepreneur magazine issue – where he shares his “Zero to R120 Million” journey, we are pleased to announce Max Lichaba as STARTUP PICNIC 7 April 2018 #BreakfastTalk guest. Max Lichaba is the founder of Lichaba Creations and the popular Kwa Lichaba Chesanyama in Soweto Vilakazi Street. Lichaba Creations specialises in jewellery making, gold and diamond dealing, and sells to several countries.